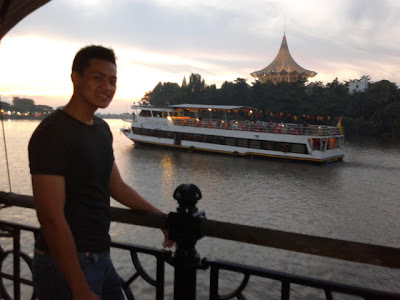 Hey guys, i recently went back to my hometown which is located somewhere in the heart of Kuching, Sarawak. Well, i took photos of Kuching's waterfront which is located on the Sarawak River. 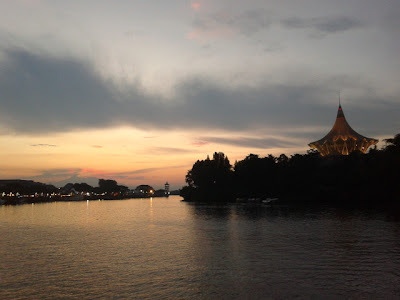 For those of you who haven't been to Kuching, the Kuching Waterfront is one of Sarawak's heritage. 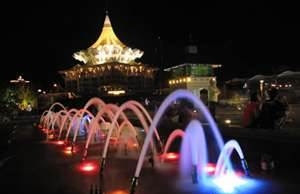 Also known as The People Place, Kuching Waterfront was built for the people of Sarawak and visitors alike. Many changes have taken place since James Brooke's era, however there are still legacies from the White Rajah Sarawak. For First-timers, it would be easy to visualise the scene back in 1839 when James Brooke first landed in Kuching, and started a new chapter in the annals of Sarawak's history. The Waterfront has of course undergone several transformations since the 19th century - from a small settlement with a few atop buildings, to a busy port with warehouse and wharves, to the landscaped riverside walk it is today. 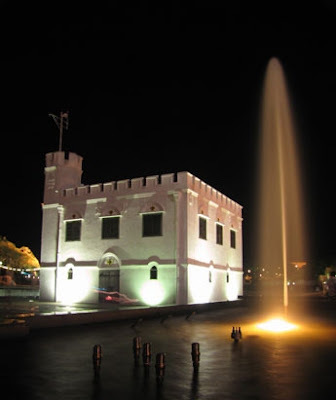 The Waterfront is now also home to modern sculpture, an open-air theatre and a musical fountain. 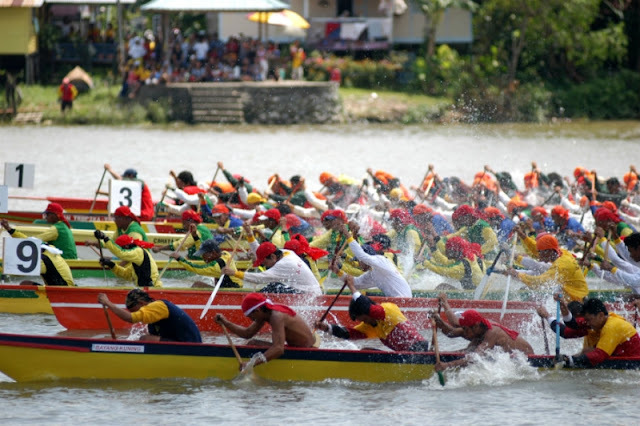 Besides that, the Sarawak Waterfront is also host to the Sarawak Regatta which is held yearly. The event is a distinct historical and cultural significant which dates back as early as before 1872. The regatta itself has been a major tourist attraction for Kuching City, and has participation from all over the world with records showing over 320 teams participating in each year’s race. One should take the opportunity to visit the Sarawak Regatta as it is the best time to see the Sarawak River in the city turn into a carnival like area with both locals and tourist grouping together to enjoy the festivities. The regatta is also a good time to capture the diverse local population on your camera. The riverside walk, stretching approximately 1 km, is bustled with facilities for entertainment, refreshment, relaxation, cultural enjoyment and arts appreciation. 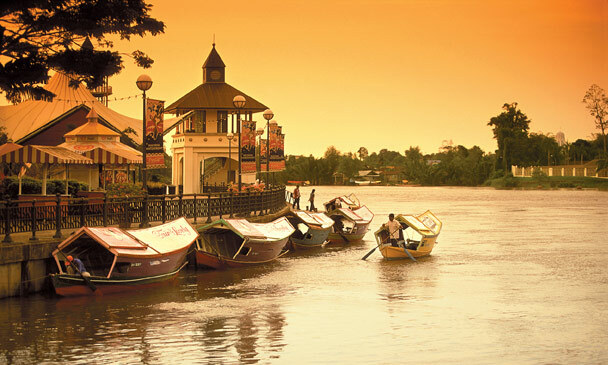 No visit to Kuching would be complete without taking a stroll along the waterfront. I personally love talking walks in the evening there, enjoying the cool evening breeze on top of experiencing a Sarawakian sunset. To sum it up, no visit to Kuching would be complete without taking a stroll along the waterfront. Bring me there when I visit to Kuching next time. "i recently went back to my hometown" ? haha! Adam, are you sure that "YOU" WANT EMAIL? haha!